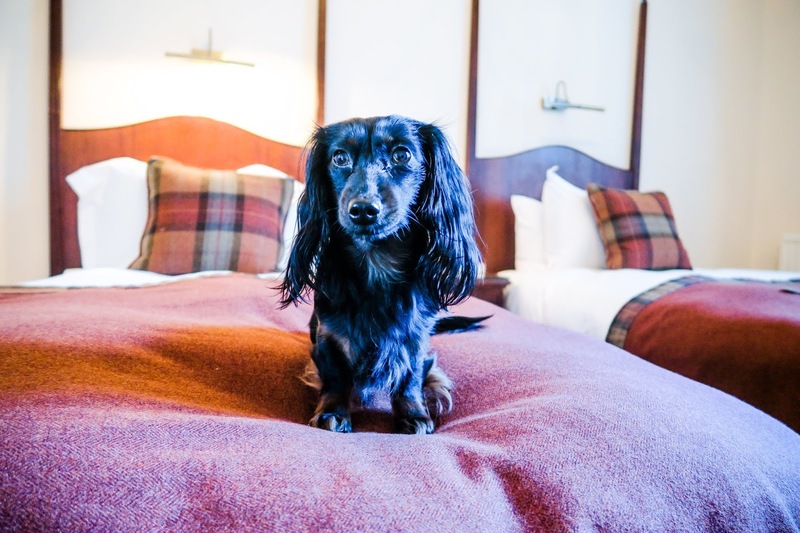 The Rusack's website shows that it is pet friendly, however I couldn't book the dog in online - instead I called. 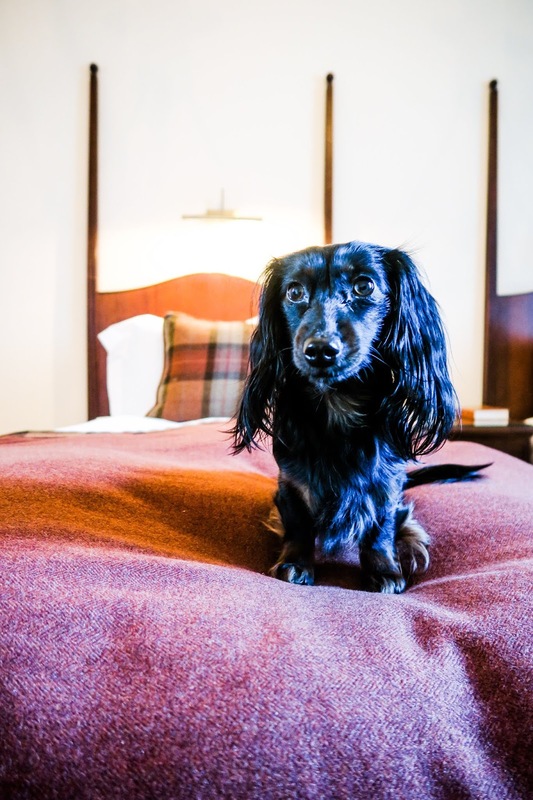 It is worth noting that you only have to pay one pet fee for your whole booking, as some hotels make you pay a daily pet fee instead. I can't remember the fee exactly, but I think it was about £50. Location is really handy and central to St Andrews, it's right on the Links with easy access to the Scores, the Old Course and West Sands. There is some parking but not a lot - once you park you'll want to leave your car there and it'll probably get boxed in, however it's good that there is parking because it can be a pain in St Andrews. Rooms are nice and spacious although it is worth remembering it's in a historic building so don't expect flashy modern gadgets. In terms of dog friendliness, I was underwhelmed to be honest and we were made to feel like an inconvenience not a paying guest - you can't eat in the restaurant or at the Rocca bar/grill. Instead you can sit on sofas/tables in reception and the corridor and order at the bar. Additionally there are two tables and sofas that you can sit at The One Under underneath the Russacks. If I'm honest, there are multiple dog friendly alternatives which I would recommend for better service, choices and price. One night we also got a Deliveroo to the hotel which was handy - because St Andrews is a student town the Deliveroo options are on point! The service left a lot to desire, Mum and I thought so - as did a number of other people at the conference who were also staying at the Rusacks. There were a number of non-friendly staff issues but I'll focus on the dog ones in this review. While we were staying, there was a number of other dogs in the hotel which was great. If you have a dog you will know the power of Dog Club which is how information passes around dog owners in one place, even if you don't know them! Other Dog Club members seemed to have the same grumbles as us. One time sticks in my mind - Mum and I had asked at reception where we could sit for some lunch. We were directed to the sofas in the corridor and to order bar food from Rocca. We were sitting, happy enough when a couple + their lab came downstairs and asked at the bar if they could sit in in there. They were allowed to - which didn't really go down well with us or the other doggy residents we spoke to. When we queried at reception, they denied all knowledge of it happening and didn't offer any explanation/apologies. In summary, although the hotel itself was okay and in a good location for town the service from staff really let it down. It's also worth noting that this was in February - not even Graduation or golf season - I imagine it would be worse then. Have you stayed at the Macdonald Rusacks in St Andrews before? What did you think?